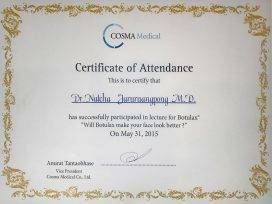 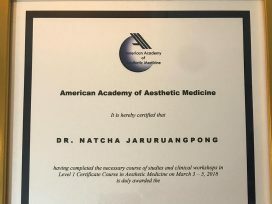 Diploma in Aesthetic Medicine, American Academy of Aesthetic Medicine. 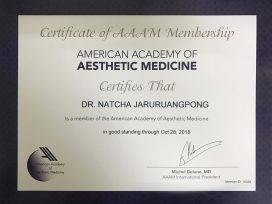 Certificate of Membership of American Academy of Aesthetic Medicine. 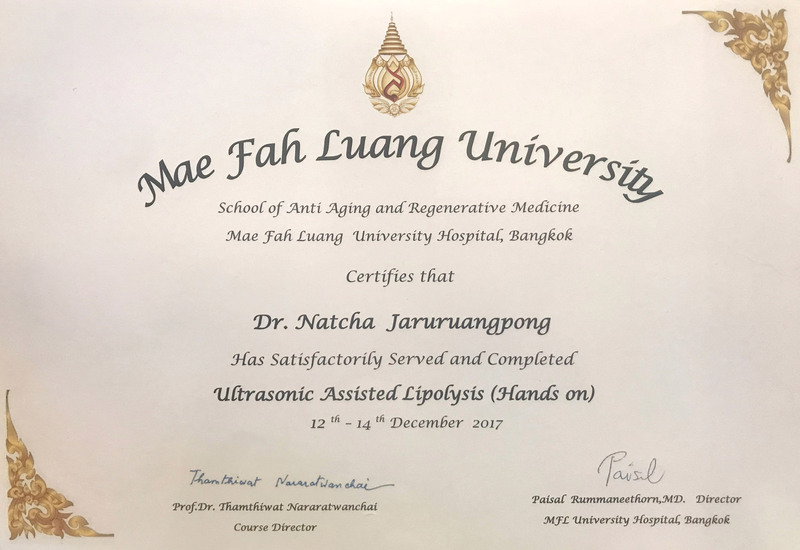 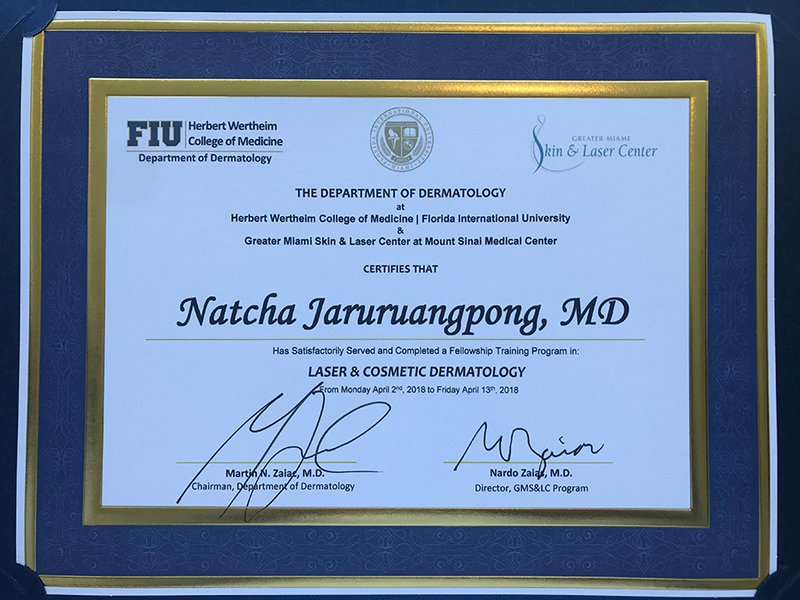 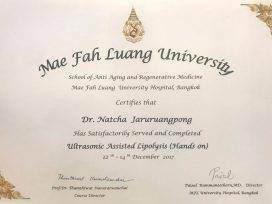 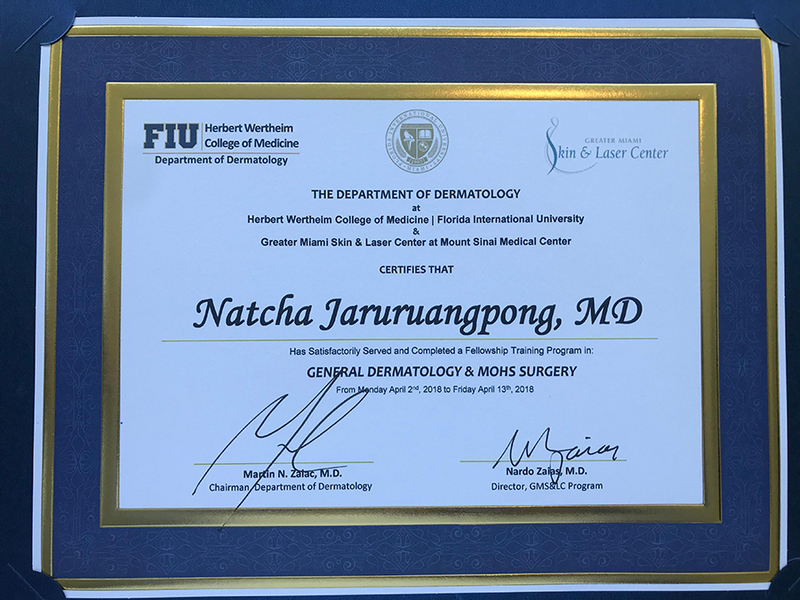 Certificate of Completion “Ultrasonic Assisted Lipolysis” ,School of Anti-aging and regenerative medicine, Mae Fah Luang University . 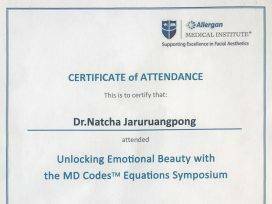 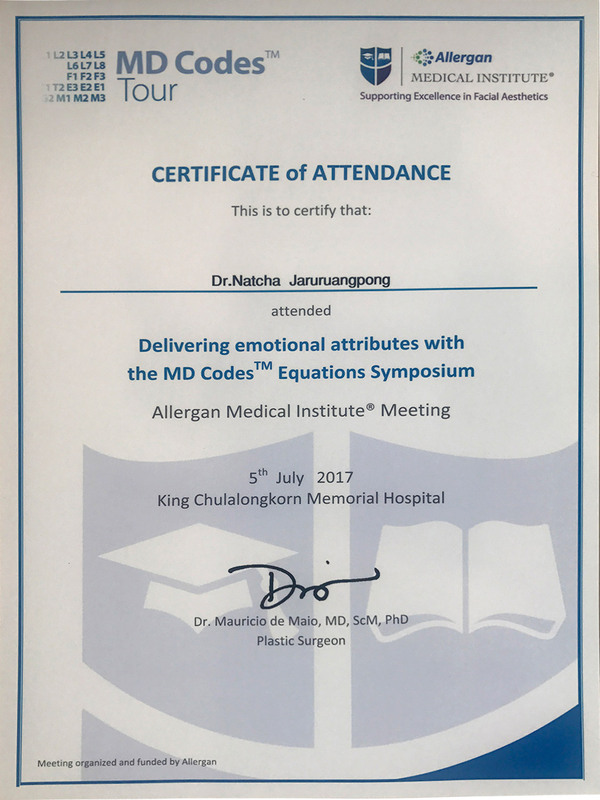 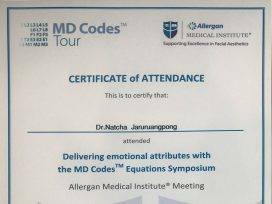 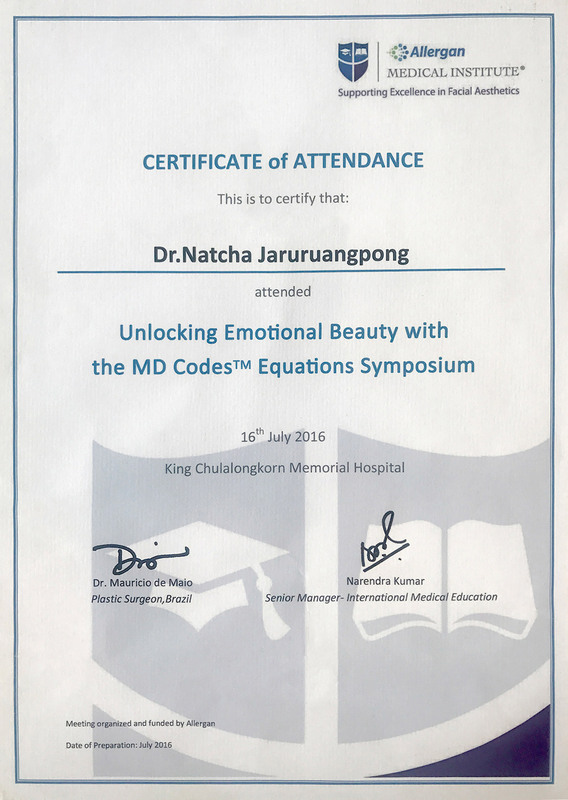 Certificate of Attendance Unlocking Emotional beauty with The MD codes equations Symposium , Allergan Academy. 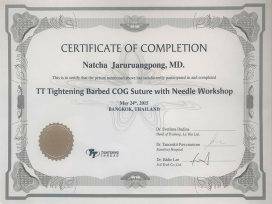 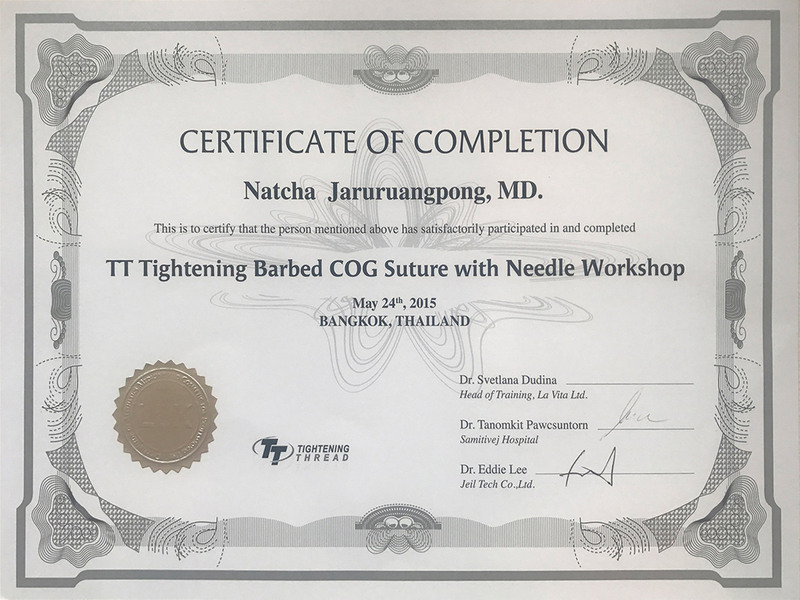 Certificate of Completion TT Tightening Barb Cog Suture with Needle Workshop. 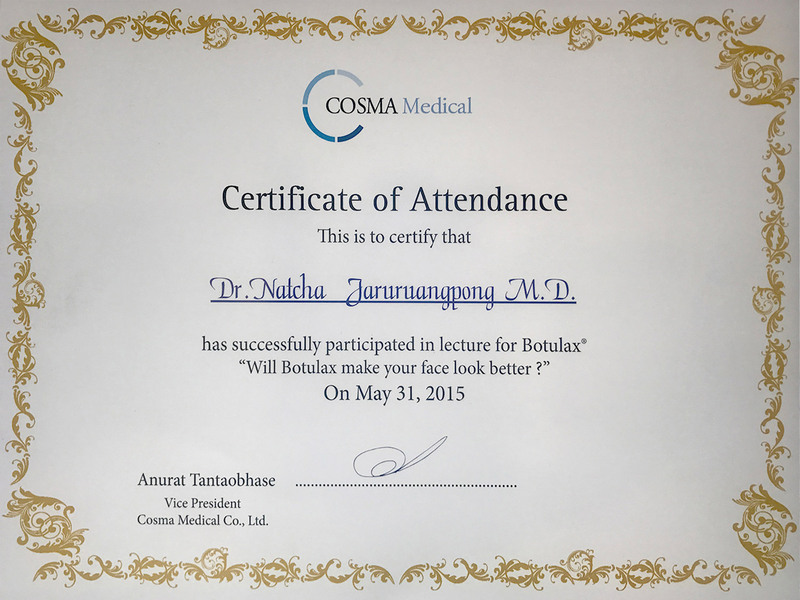 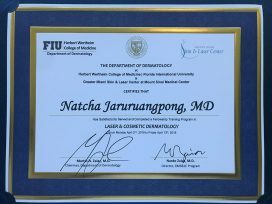 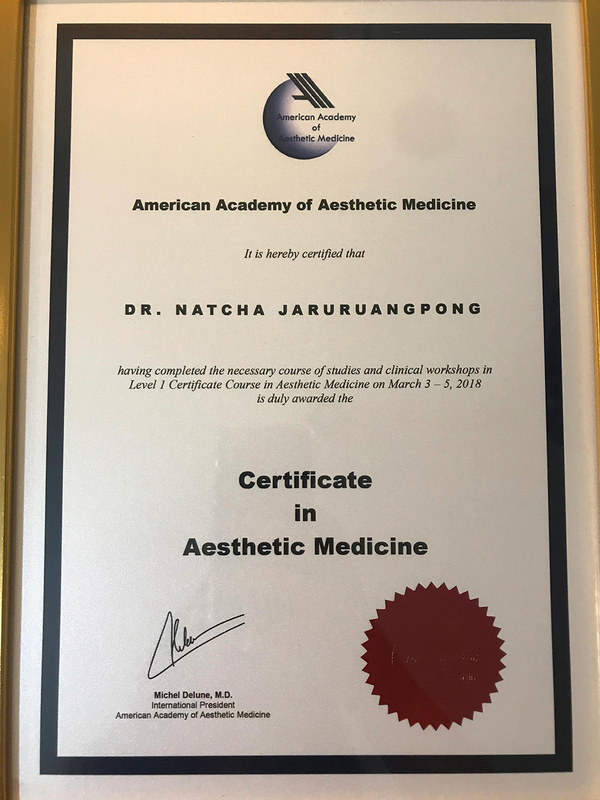 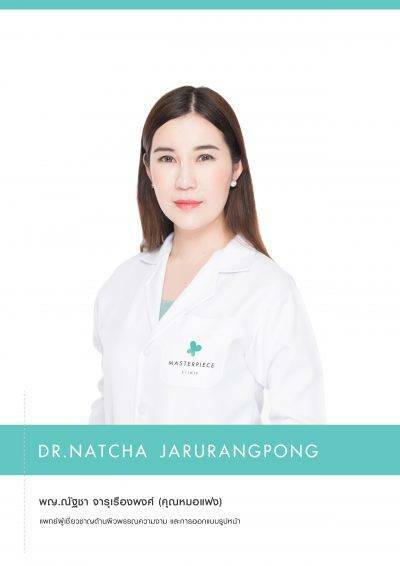 Certificate of Basic and Advanced Botox injection ,School of Anti-aging and regenerative medicine, Mae Fah Luang University. 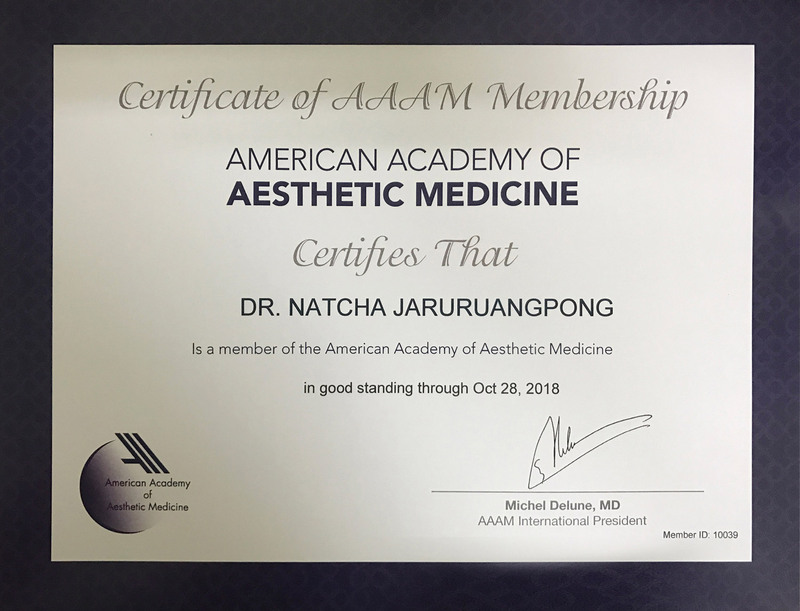 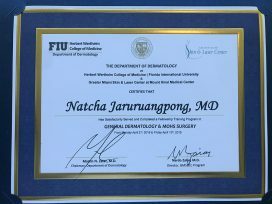 Certificate of Basic and Advanced filler injection ,School of Anti-aging and regenerative medicine, Mae Fah Luang University . 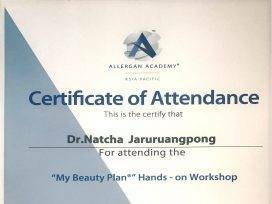 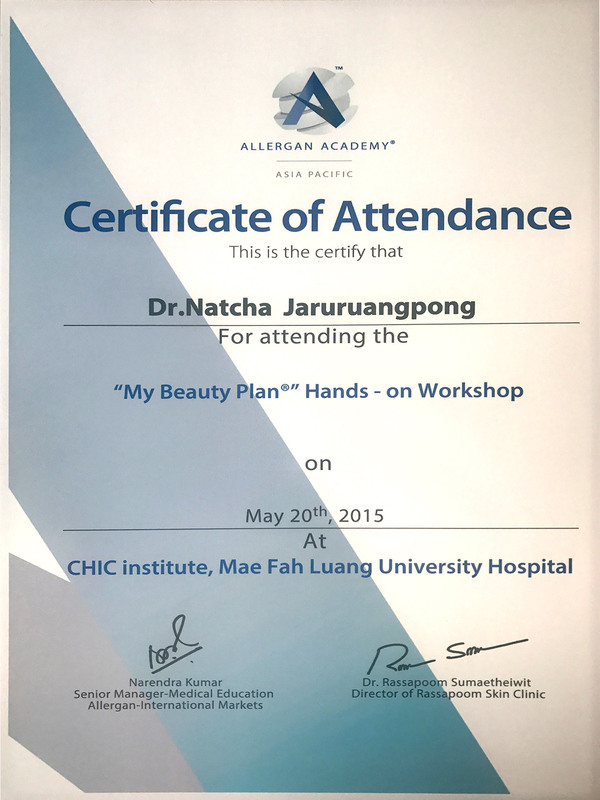 Certificate of Attendance Liposculpture Surgery by DR.KI SUNG (ULTRAZ),Southkorea.